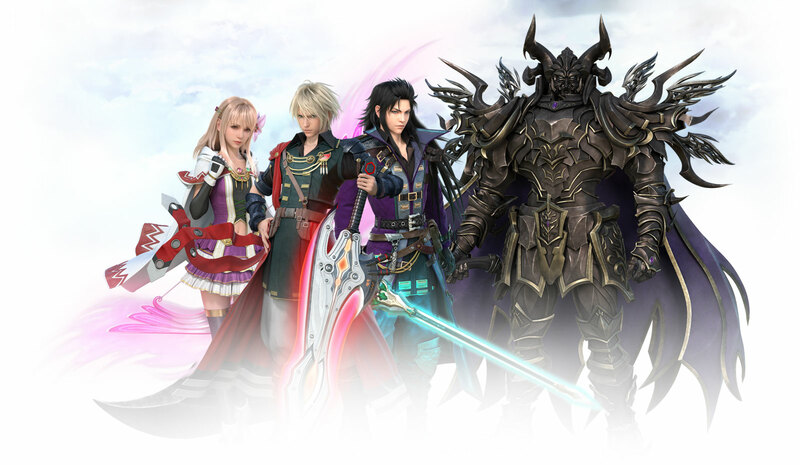 Square Enix's attempts to tailor the Final Fantasy brand into mobile gaming have tended to land with a thud. The ports of classic games like Final Fantasy 6 have bothered longtime fans, and all-new games built around mobile conventions have capitalized on popular characters without much homage to any of the battle systems that make those classic games so enduring. Brave Exvius, pitched as an all-new game that more closely invokes the classic gameplay, certainly recaptures some elements of the SNES era and feels familiar at times. On the whole, though, those flourishes feel like a superficial layer over staid free-to-play and clicker elements. Take, for example, the story hooks. It begins with a mysterious woman, a crystal, an evil armored villain, and two heroes who seem destined to be driven apart. While the art style much more closely resembles the Mana (Seiken Densetsu) series, those Final Fantasy hallmarks are unmistakable. The battle screen also bears more than a passing resemblance to Final Fantasy 4, with your characters adopted a zigzag pattern across two rows. Beyond those qualities, though, it's a free-to-play treasure trove through and through. Attacks begin the moment you hit the character's button, with bonuses for combinations, encouraging quick tapping. An Auto-Battle option is usually enough to see you through most encounters, giving the passive-play experience that has grown in popularity in the mobile space. It even uses an energy meter--here redubbed "NRG"--to dole out short bursts of playtime. The real meat of progression involves collecting characters, from generic Final Fantasy fighters to named characters like Terra and Rydia. Similar to Puzzle & Dragons, you can collect duplicates and feed them to each other for a level boost. Most of your in-game currency will probably be spent on trying your luck for more characters. Of course, this being modeled on F2P hooks, there are actually lots of currencies. You have Gil to purchase weapons and armor, Lapis to purchase characters and certain upgrades, Tickets to trade for summoning characters, Friend Points for a lower tier of summoning, Materials for upgrading and crafting weapons. It's almost overwhelming, until you realize all of them are kept within their own walled gardens, and it seems engineered to send the message that you're constantly earning more "stuff," even if it's just meaningless baubles. Then there are the little annoyances, like the inconsistent placement of the Back button rather than simply letting you tap anywhere outside a window to exit it, or the brief loading bar for downloading assets between loading screens. Those brief moments make it feel like it would've benefitted from a little more polish, which then makes it feel more like a quick free-to-play game. It all amounts to an experience that feels somewhat inconsequential and light. It's a decent time-waster, and the set-dressing that invokes the Final Fantasy name might be enough to pull some players through. But it does little to change the impression that Square's mobile Final Fantasy games are mobile first, and Final Fantasy second.